Tsubakimoto Europe B.V., part of the worldwide Tsubakimoto Chain Company in Japan, is committed to assemble and supply products in an environmental responsible manner. These processes will be managed to minimize the environmental impacts where we can reasonably expect to have an influence. All products and processes are in full compliance with the applicable environmental laws and regulations. 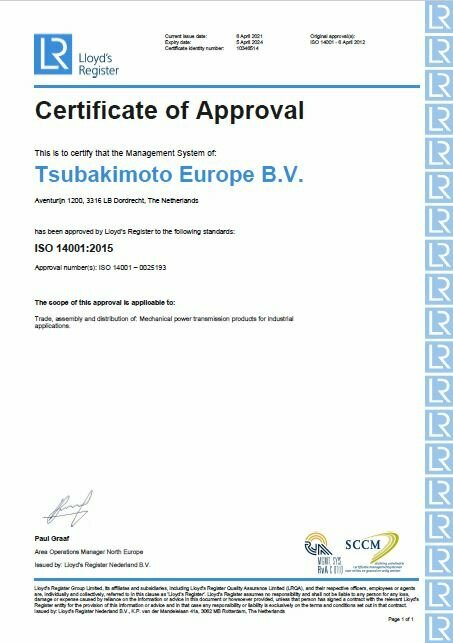 In order to reach continuous improvement on environmental areas, we have, as a Group company, implemented an Environmental Management System that is in line with the overall Global Tsubakimoto Chain philosophy and policy. The Environmental Management System is in compliance with the requirements of NEN-EN-ISO 14001:2004. We continuously improve our Environmental Management System by monitoring and reviewing our goals to prevent and reduce environmental impact. Specific themes for Tsubakimoto Europe B.V. are: monitoring and reducing electricity and separate waste. We strive to continuously improve our processes with the objective to reduce or eliminate the use of environmentally damaging products or materials and with the objective to save natural sources. Tsubaki has created a string of unique environmentally friendly products with excellent durability, light weight, and power transmission capacity. Tsubaki products are developed under our own voluntary eco assessment standards. As of 2011, all new products are required to meet these standards. 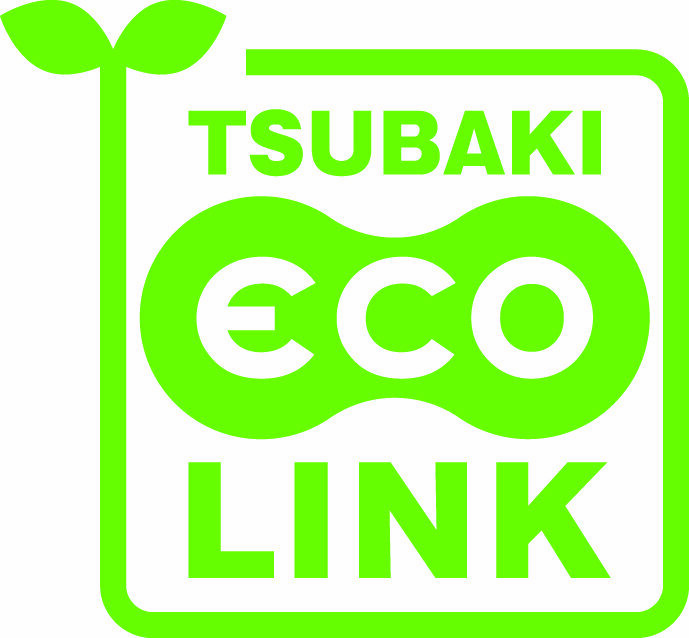 Products that clear the standards are called "eco-products" and are labeled with the Tsubaki Eco Link logo. With the aim of developing eco-friendly products capable of helping to reduce environmental impacts ("Ecology") and increase value for our customers ("Economy"), Tsubaki has established its own voluntary eco-friendly concepts consisting of seven Eco Assessment Criteria. This helps resolve productivity issues for example by tackling environmental considerations such as long service life by improving ease of maintenance and other ecological factors. Our eco assessment standards are prepared following these concepts, and products that meet these standards are referred to as eco-products. We are committed to recycle the useful materials in our products to protect the environment. Therefore, we want to emphasize that our products can be recycled. Products can be recycled when they are at the end of their lifetime, by disposing them via a proper waste route. This way we will all contribute to reusing, reducing and recycling waste disposals. - Conversing resources: used materials are converted into new products, reducing the need to consume natural resources. - Saving energy: using recycled materials in the manufacturing process consumes significantly less energy than producing new products from raw materials. Lloyd's Register has certified our management system according ISO 14001:2015 standard.